Whoa, did you just read my mind!?? lol...we totally have the same exact taste! 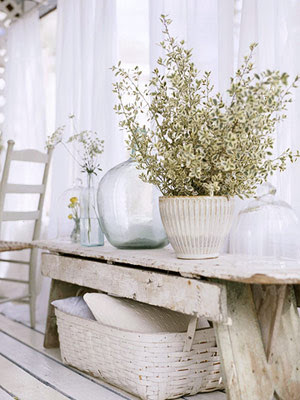 I've often daydreamed about my dream house & that I would make almost every room into a theme!! A gorgeous Old World English library....a Mediterranean bedroom and bath...oooh, another bedroom/bath all decked out in chic french style with gorgeous antiques and a modern clawfoot vintage tub with all the trimmings! 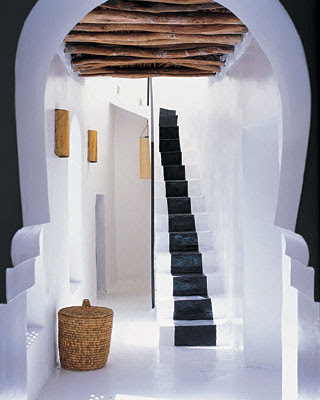 I love the idea of a monochromatic house (or room!) but I'm so addicted to colors I could never do without them. lol.. Love the Moroccan room too! Yup.. that's me! ALL of those are SO me. My house would probably look crazy because I'd want so many different styles in it.. ORRRR I just need a bunch of different houses to suit all of them! This is what i had in mind for when the time will come to have my own house!I think its way better having a different theme in each room that having one for the whole house,its more interesting and not boring!Wish we had the money...Very nice pictures you posted!! 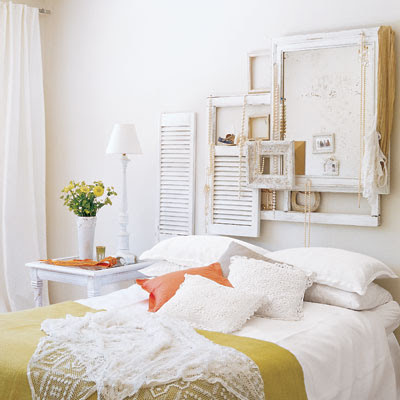 oh my goodness...so many pretty rooms! i think my fav. is black & white bathroom though. i really appreciate design as well and i love decorating. I have a different theme in each room of my apartment and I love it...kitchen is vino(grapes & wine) theme, bathroom is purple & yellow (didn't have much of a choice on that one), living room is neutrals/palm tree themed etc. and i think it works. I love your style! I LOVE rooms 3 and 5! Beautiful. Wow, you have amazing taste. Thanks for sharing all those wonderful pics..each room told a little story. Im currently decorating my room- been having so much fun with it even though its taking ages im sure it will all be worth it in the end. 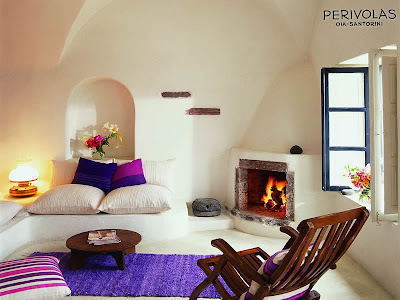 The colour scheme is purple walls with a printed wallpaper on one side and black glossy wadrobes/accesorizes. Love it too! I once dabbled with the idea if going to school for interior design. Love that mediteranean style photo. @bubblegarm I totally agree! I've got to put a link to your blog on my blog...it's fabulous! :) can't wait to read more of your posts. :) Have a super fabulous day!! 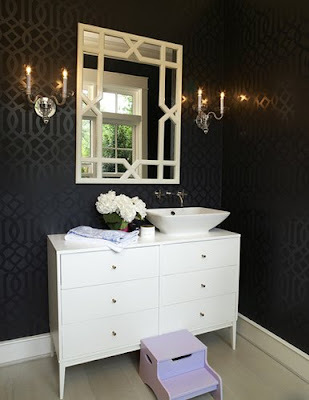 The picture of the black and white powder room leaves me breathless! So simple yet uber-girly and gorgeous! I love all these pics, you have excellent taste! 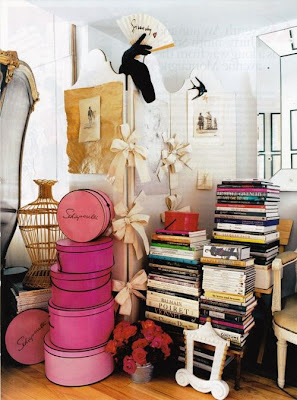 You have such good taste whether its clothes, makeup or interior design. You have a really good eye for style. 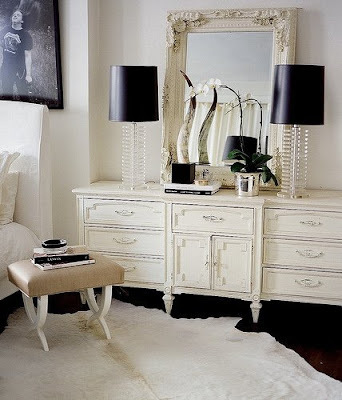 I love interior design blogs as much as ones for makeup etc. I love the photos you put up. Love the black powder room, the wallpaper is gorgeous.All the rooms are an inspiration. Thanks for your comments girlies..